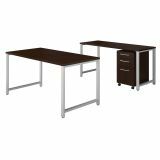 Bush Business Furniture 400 Series 60W x 30D Table Desk with Credenza and 3 Drawer Mobile File Cabinet - This Bush Business Furniture 400 Series Table Desk, Credenza and Storage combination inspires creativity with a sturdy construction, user-friendly features and refreshingly contemporary looks. 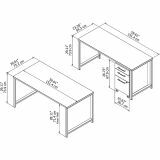 The Table Desk and Credenza mix open metal legs with wide, wooden work surfaces, providing space to spread out and ample legroom. 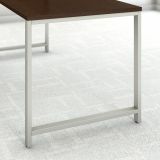 Sturdy legs boast a welded steel tube construction, while the thermally fused laminate finish fends off damage. Adjustable levelers compensate for uneven flooring. 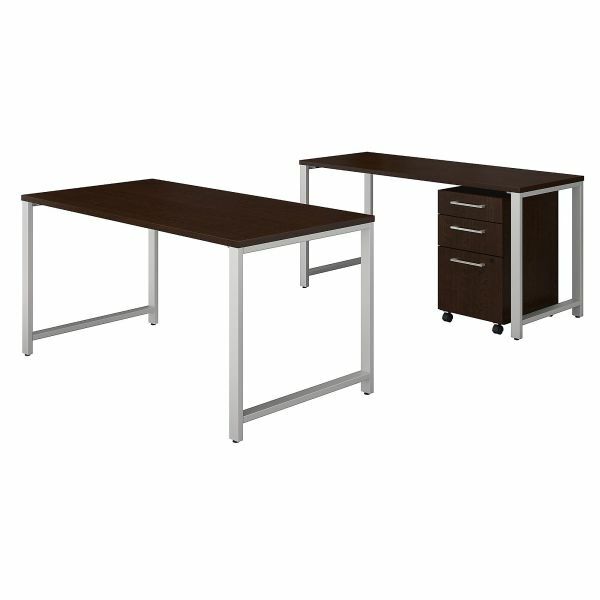 Get your office in order with a 3 Drawer Mobile File Cabinet, which rolls wherever you need it. 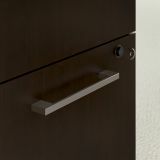 A locking file drawer secures documents, and a pair of box drawers store office items for easy access throughout the day. 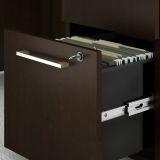 The full-extension file drawer glides on smooth ball bearing slides for an easy reach to the back. 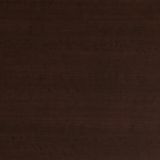 400 Series comes with a Limited Lifetime Warranty. American made with U.S. and imported parts.